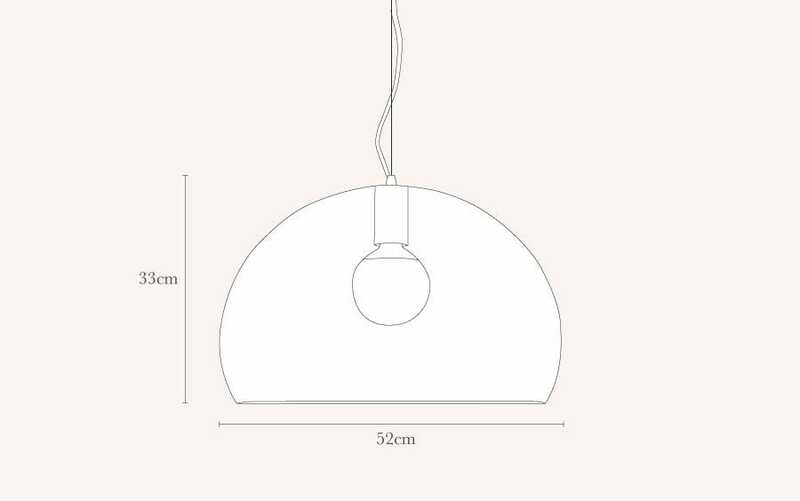 The domed cover of the FL/Y pendant is not perfectly hemispherical – the cut-off is underneath the height of the diameter, which works to give off the greatest amount of light. Iconic design perfect for kitchens, bedrooms or lounges. Colourful finish will brighten up your interior. 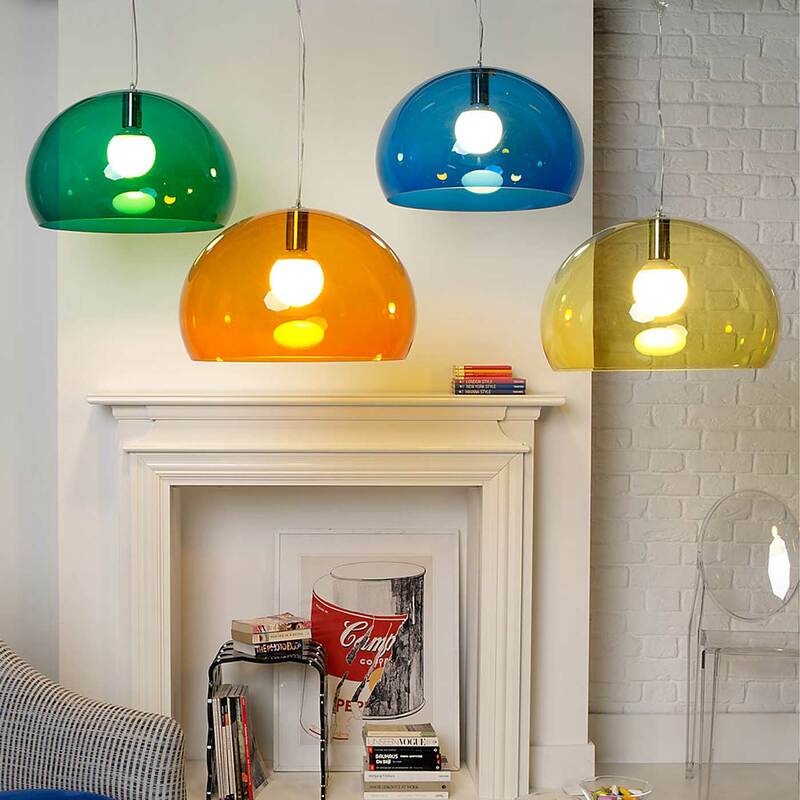 Available in multiple finishes; petrol blue, light blue, red, orange, cobalt blue, yellow, cardinal red, emerald green, sage green transparent finish or white, black opaque finish. I love the product and the installation was straight forward. Appalling delivery service as is the case every time I order from Heals. So slow and unreliable then impossible to speak to anyone to chase it up. Had to return the light due to immoveable surface marks and scuffs, ill-fitting ceiling rose and need to unwire and dismantle for each clean. Was far too big for our room so sent back. Not very well packaged. All bar one of the products required were available, so that was good. Haven't put it up yet as waiting for other work in the house to be completed, so cannot give it unreserved thumbs up as have only seen it in the box.